We have already received just under 600 responses to this survey in the first 2 weeks, but the survey will be accessible for a few more days before we take it down and start to analyze the data. So thank you so very much for your help and support in doing this … especially since I mucked up question 5! What I can tell you already (as we kinda expected) is that “value” in the management of prostate cancer for patients and their families is a very complex issue. We will be posting the detailed results of the survey to this web site once we have completed the analysis (perhaps by the end of July). In the interim, again, thank you to all those who helped us to blow way past our original goal of 500 responses! I am also hopeful that these pilot data may facilitate the development of a more sophisticated survey with a dedicated research team that has a good deal more experience that we do! # 5 would not let me select more then one choice. Not sure if you can contact anyone. Question #5 doesn’t seem to want to accept more than one selected answer, while the question says to check all that apply….. I apologize about Q5, which is all my fault, and unfortunately I cannot go back and change it (which is a great pity), so please do the best you can. You were meant to be able to give multiple answers to that question and I screwed up by misclassifying it though my own stupidity and lack of experience! Q5 is so important I would gladly do the survey again. It is about the essence of what is so often missing in our care. There are problems with this survey. If I’m filling it out as a spouse, and we didn’t necessarily agree on treatment options or goals, it’s unclear how to fill it out. It seems to assume both the patient and the spouse/partner would answer the questions the same way. Also, one of the questions tells you to choose all the answers that apply, but it will only allow you to choose one. I need to let the current survey run its course now. Once I see what we have got I may re-run Q5, but this is only a pilot study. However, I am mad with myself for having mucked up that particular question! This was not intended to be a detailed and comprehensive survey. It makes no “assumptions” about anything, which is why it is prefaced with the comment that there are no “right” or “” answers. It is a pilot survey — intended to see what might be possible. And yes, please see above and below, I am already well aware of the problem with Q5, but I can’t change it now. The impact of choosing only the top item in one question, instead of also including other concerns is not particularly crushing to the total survey. Thanks for the survey even if not perfect. What is? Done. Q2 was also flawed in that June 1 2005 is 11 year ago (Note between 5 and 10 years ago). But good survey. 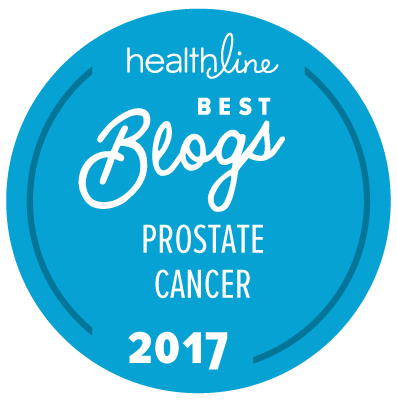 When will the survey results be reported here at THE “NEW” PROSTATE CANCER INFOLINK? The basic results of the survey are going to be presented at a symposium on value in the management of prostate cancer at the annual meeting of the American Society for Radiation Oncology (ASTRO) in Boston next Sunday morning (September 25). I shall also be putting the basic results up on line here at roughly the same time. In addition, I am preparing to submit the data to a widely read urology journal for publication. However, I have no control over whether they will be published there or not because they will have to go through peer review.